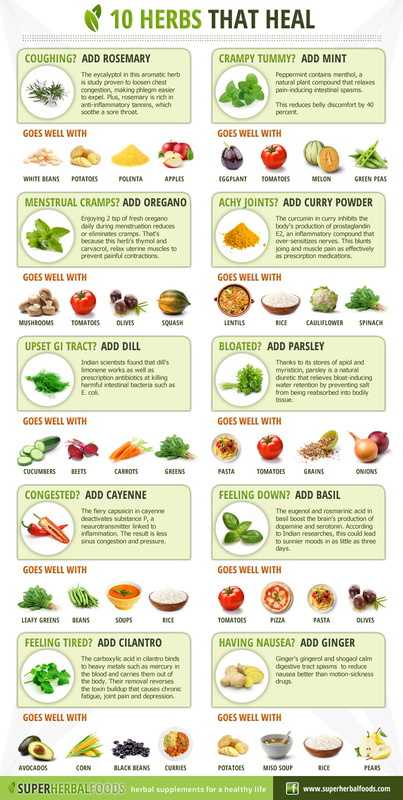 Although herbal remedies are rarely studied to the extent of medications they are thought to have healing powers. Since I am not comfortable with ingesting essential oils for their healing properties (this should be done under the supervision of a certified aromatherapist) I love the idea of utilizing foods, including herbs, for their healing properties. I love using mint for tummy trouble and mental alertness. This resource is particularly helpful because it offers suggestions for other foods that pair well with them.